A fan alleged Miguel had groped her breast moments after a picture was snapped of the two of them. 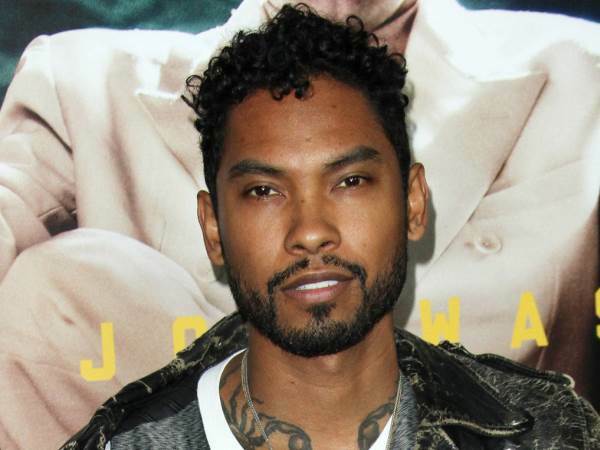 R&B star Miguel is convinced the woman accusing him of sexual assault is just "looking for attention". Earlier this month, model and college student Xian Bass took to Facebook to share a photo she had taken with the Adorn singer after approaching him in public. However, she claimed she was no longer a fan of his work as Miguel had allegedly groped her breast moments after the picture was snapped. In her lengthy post, she went on to question whether he had acted in a similar way with other women in the past, concluding: "I will not sit in shameful silence and allow sexual assault to be normalised." Miguel's fiancee Nazanin Mandi, who has been dating the star since 2005, immediately hit back via social media, commenting on one of Bass' posts, "Why respond to clown foolery? That's what she wants." Now the musician has also weighed in on the controversy, insisting those who know him are well aware he would never do such a thing. "I think we're just in a time when people are really looking for attention in the wrong ways, it's kinda sad really," he told TMZ.com. Miguel claims the incident hasn't tainted his view of his devotees, although he is now learning to be cautious of the kinds of people he stops to greet in public. "(I'll) never lose faith in the fans," the star remarked, adding, "In this age, you just gotta be always more aware with how things can be and how things can be spun... If you look at me and see my interactions with fans in general, it's not even worth answering (the allegation)."